SAN FRANCISCO—At its public meeting on December 11, the Judicial Council will hear about trial court efficiencies, how to improve outcomes for mentally ill court users, and a proposal to restructure court fines and fees as part of its legislative agenda. The council will also hear examples of how local courts are streamlining operations in order to provide the public with greater access to the court system. The examples include a one-day divorce program, an electronic form for formal orders after a hearing, and other technological improvements to make court services and operations more efficient. The council will consider the final report from its Mental Health Issues Implementation Task Force, charged with implementing ways to improve case processing and outcomes for court users with mental illness. The report highlights the task force’s accomplishments and unresolved challenges since its inception in 2012. 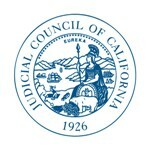 The council will consider recommendations from its Policy Coordination and Liaison Committee (PCLC) on what its priorities should be for the 2016 legislative year, including advocating for a three-branch solution to ensure fair and efficient court fines and fees. The recommendations also call for supporting new and reliable funding for the court system, new judgeships for communities most in need, and legislation to enable courts to improve their operational efficiency. Request for Reserve Funding: The council will consider a request from the Superior Court of Humboldt County for $252,000 in supplemental funding for fiscal year 2015–2016. The council is required by statute to set aside 2% of the total funds appropriated annually in the Trial Court Trust Fund for urgent needs of the trial courts. $37.6 million remains in the reserve for this fiscal year and is available for trial courts that suffer unavoidable funding shortfalls, unforeseen emergencies, and unanticipated expenses for existing programs. Facilities Update—Cost-Benefit Report on Council Office Locations: The council will receive an update on outcomes from an independent cost-benefit analysis on the consolidation of Judicial Council offices. NOTE: The council launched a new online meeting information center that makes it easier to follow the meeting while viewing the agenda and reports. Beginning with this December 11 meeting, the online platform will also enable the council to videocast its San Francisco meetings. The December 11 meeting agenda and council reports have been posted online, and a link to the live videocast of the meeting will be on the California Courts website on the day of the meeting.